854 = 2 x 7 x 61. 854 is the largest number that together with its square (729,316) uses different digits not more than once (A059930). 854 is the smallest number n such that it is the sum of two positive cubes (854 = 53 + 93) and n + 1 (855) is also the sum of two positive cubes (A003325 and A024670). 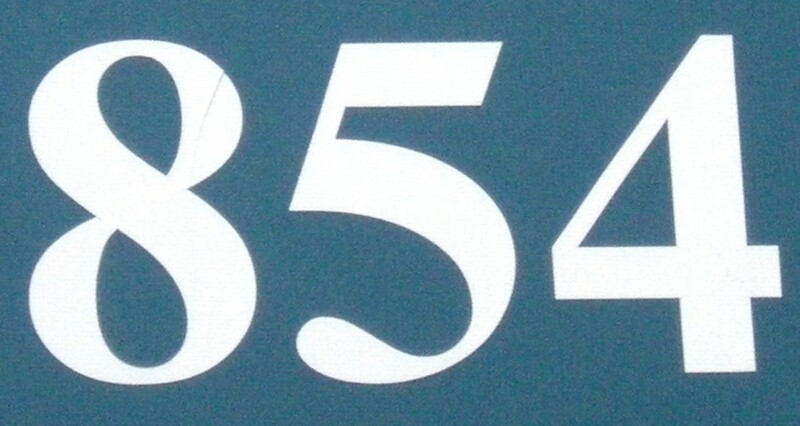 854 are the first three digits of the 27th Mersenne prime (A138864). 854 is 707 in base 11. 854 is the sum of six positive cubes in exactly three ways (A048931).